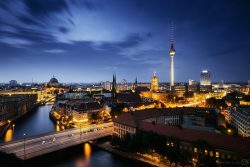 Berlin at night with a view of the TV tower (Fernsehturm), city hall (Rathaus) and Berlin Cathedral (Berliner Dom). 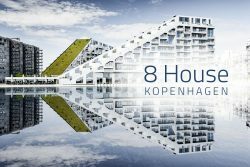 Denmark’s largest residential building, the 8 House (8 tallet), was built in Copenhagens district Ørestad between the airport and the city center several years ago. 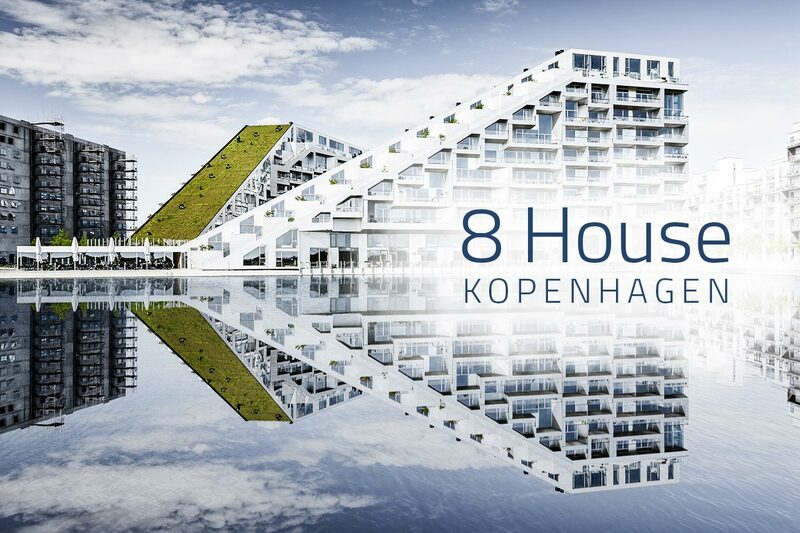 For the architect Bjarke Ingels it was the third project in this district after the VM Houses and Mountain Dwellings. 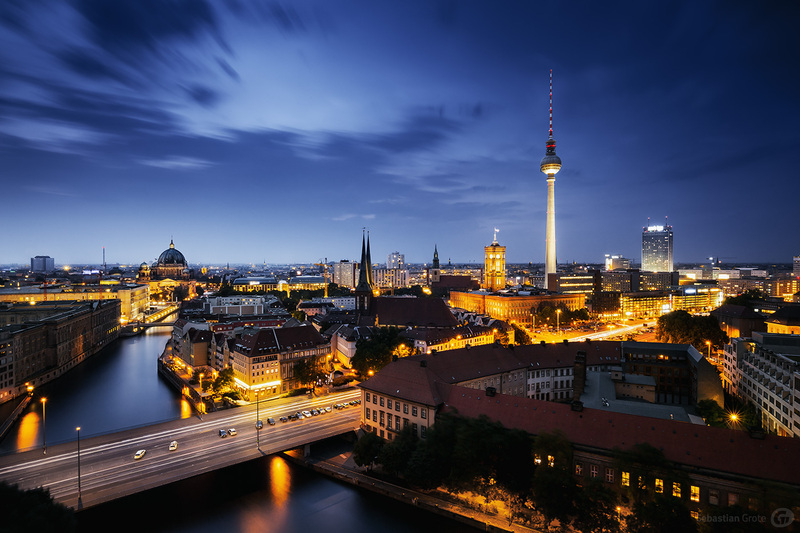 There are 476 apartments on the upper floors, offices on the lower floors and there is also a kindergarten, shops and a large common room with a roof terrace. 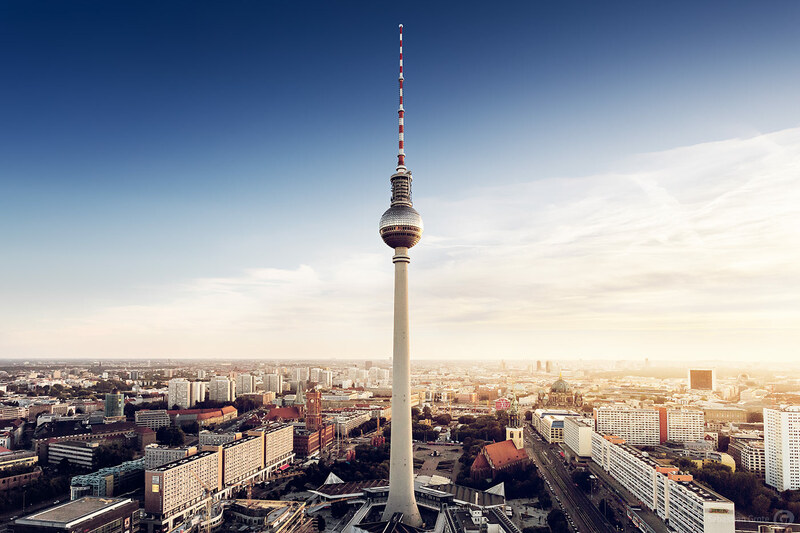 The Television Tower at Alexanderplatz in Berlin is the highest public building in Europe at 368 meters. From the viewing platfform you have a great view above the whole city, as well as the roof of the opposite hotel. 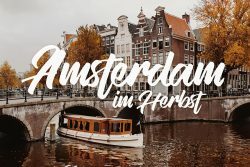 There are already some posts of Amsterdam here. But not yet any posts which shows the city center, which is almost a single attraction. 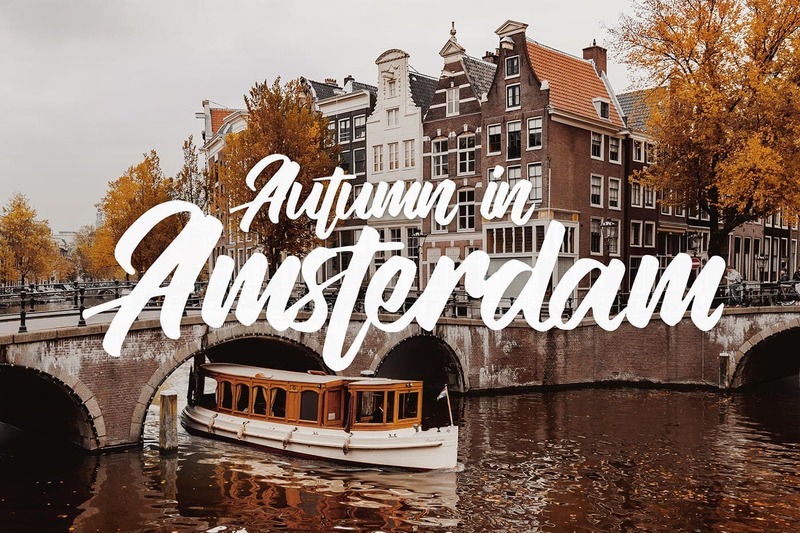 Some time ago I visited the city of canals and bridges in autumn – but also at any other time of the year a visit is recommended. 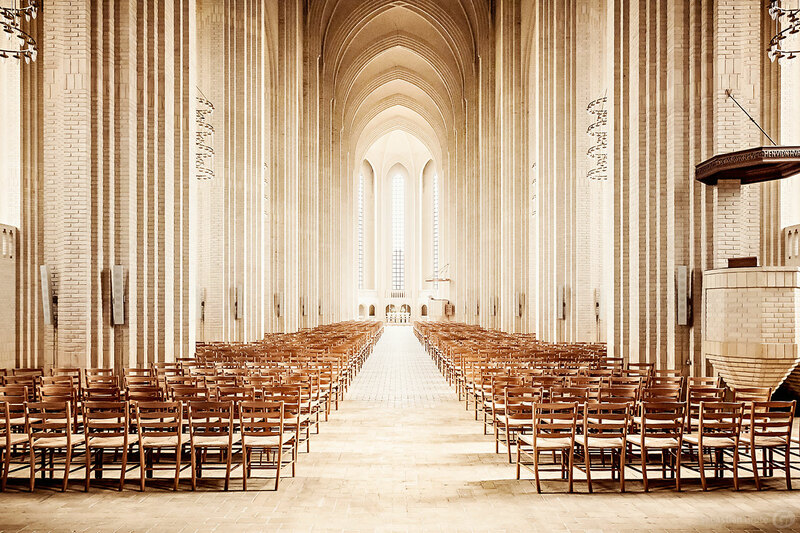 The Grundtvig’s Church in the northern district of Bispebjerg is one of the newer and due to the unusual design also one of the most famous churches in the city. While other churches are already 400 years or older, the Grundtvigskirche was built between 1921 and 1940. The design is by the architect Peder Klint, who did not live to see the completion. 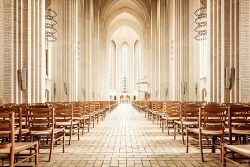 At the beginning, only the 49 meter high church tower was built and only in 1928 work began on the construction of the nave and other components. A total of about 5 million yellow bricks were installed. 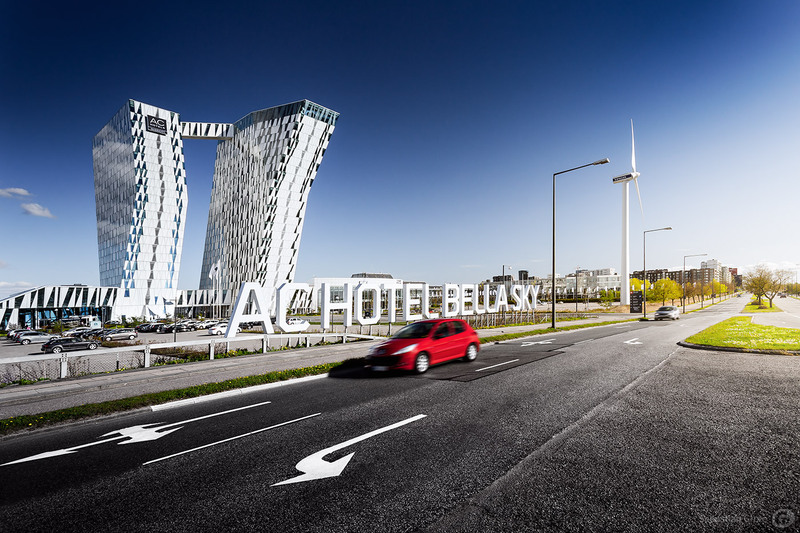 Located in Copenhagen’s newest district, Ørestad, the Bella Sky Hotel is one of the largest hotels in Scandinavia. 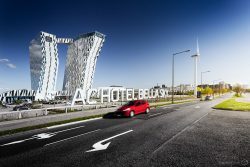 The building, planned by the Danish architecture company 3XN, consists of two towers with 23 floors and was opened in 2011. It is part of the exhibition and conference center Bella Center, where the UN Climate Change Conference took place in 2009.